I am a hip hop Music Promoter specializing in promoting music to blogs, magazine, and fans. I'll send your music to 1000 key hip hop music blogs, DJs, Booking Agents, and key Music Influencers in Order to build a grass root buzz and awareness for your hip hop song or video . I have gotten artist placed on tons of blogs and sites, spins on College Radio, and opening act slots on shows as a result of my services. 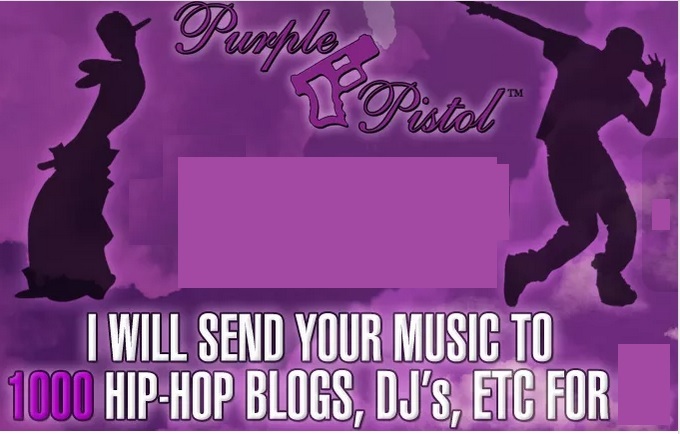 Order this gig if you''re interested in getting your music placed on key hip hop music blogs that cater to Music to increase your buzz and awareness among the music buying community. send Your Music to 1000 Hip Hop Blogs, DJs, ETC is ranked 5 out of 5. Based on 7 user reviews.